NASA’s Spitzer Space Telescope has revealed SEVEN new planets in a newly discovered solar system which is 40 light years away from Earth. 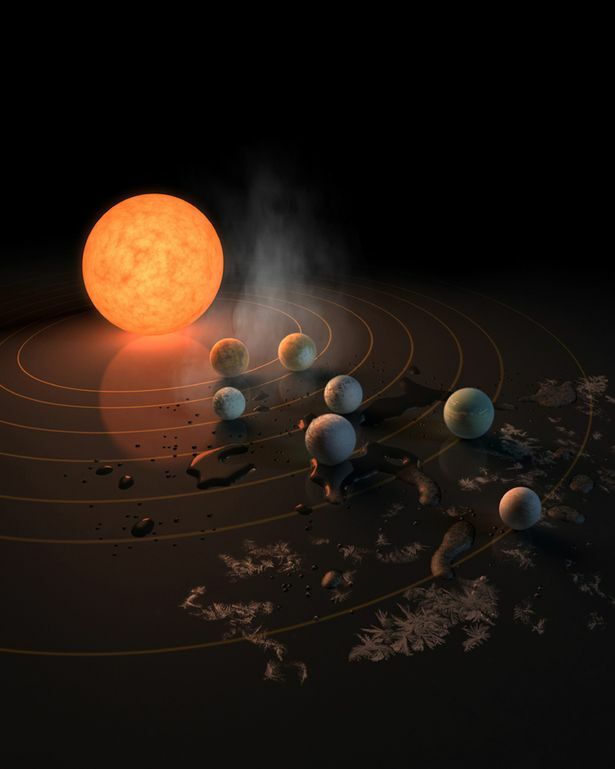 Alien life may have evolved on at least three of the worlds orbiting a cool dwarf star known as TRAPPIST-1, located in the constellation Aquarius. To celebrate the discovery, Google has a special Doodle by artist Nate Swinehart.